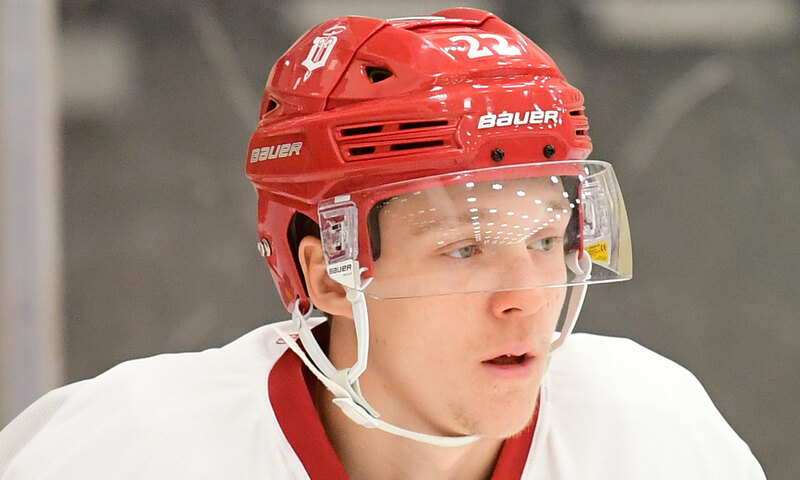 Dubuque Fighting Saints forward Riese Gaber has announced his commitment to the University of North Dakota. Gaber, a speedy winger for the Fighting Saints, has been a key part to the team’s offense and defense in his first USHL season. Gaber has made it known that he wants to make the most out of his hockey journey at the junior level, and he says he is excited to continue his development. Gaber, has totaled 22 points through the first 26 games of the Fighting Saints season. He has 10 goals and 12 assists. Gaber has been an offensive force for Dubuque, but he also has shown a tenacity on defense. Gaber regularly throws the body around and plays a consistent 200-foot game when defending. The winger is also adept at winning battles along the boards with his quick stick. Gaber’s commitment is the seventh for Dubuque this season. Gaber spent 2017-18 with the Dauphin Kings and the Steinbach Pistons in the MJHL. Gaber totaled 48 points in 51 games split almost evenly between the two clubs. Gaber also had 10 points in the MJHL playoffs as he and Fighting Saints teammate and Vancouver Canucks prospect Matthew Thiessen helped lead the Pistons to the 2018 ANAVET Cup.